This year 96 Festival is launching with an informal conversation between artists, makers, creators, performers, activists and anyone interested in sharing their viewpoint on the changing landscape of art and LGBTQIA+ issues. How can art enact positive change in our communities? This is a free event, please RSVP below. Consultant for XR Circus, University of Brighton, UCL, research project into how immersive technologies can be used to augment and/or to capture live performances. Phyll (she/her) is the nucleus of the award-winning celebration and protest that is UK Black Pride. Jan Gooding is known to be one of the UK’s most outspoken marketing leaders on subjects ranging from building global brands to inclusive leadership. She has enjoyed a successful marketing career during which time she has worked with ‘blue chip’ companies such as BT, British Gas, Diageo and Unilever and, most latterly, as the Group Brand director at Aviva. She is currently the Chair of LGBT equality charity Stonewall which reaches and supports LGBT activists in over 70 countries worldwide. When she took over the helm Stonewall was focussed on equality based on people’s sexual orientation and did not actively campaign on gender identity issues. Under her leadership Stonewall extended it remit to campaign for trans equality in 2015. British Labour politician and former actor. He served as a Member of the European Parliament for the West Midlands constituency from 1999 until he stood down in 2014. In the 2013 Queen’s New Year honours list Michael was made a Commander of The Most Excellent Order of the British Empire (CBE) for political services and equalities. On 23 of September 2014 Michael was elevated to the House of Lords (Labour) and took the title of Baron Cashman of Limehouse. Rebecca is best known for playing Judy in BBC Two’s ground-breaking comedy series Boy Meets Girl. Other screen credits include the upcoming Last Christmas, The Sisters Brothers, Colette, The Danish Girl, Flack, The Romanoffs, Moominvalley, Hank Zipzer, Doctors, Celebrity Mastermind, Casualty, The Detectives, and Keeping Up Appearances. Theatre credits include the world premiere of Rathmines Road at the Abbey Theatre, Dublin for Fishamble; the award-winning Trans Scripts at the Edinburgh Festival Fringe in 2015, revived in 2017 at American Repertory Theater in Cambridge, Massachusetts; The Bear / The Proposal at the Young Vic; and Hamlet at the Gielgud Theatre, London. Radio credits include the drama 1977 for BBC Radio 4, and guest appearances on programmes as varied as Woman’s Hour, Front Row, Loose Ends, Saturday Live, and A Good Read. Cassie graduated from Manchester Metropolitan University in 2010 and founded the theatre company Cape Theatre., devising self produced contemporary performances for a range of spaces; theatres, festivals, warehouses and occasionally bathrooms. They wrote and devised original performance that celebrate shared experiences amongst diverse audiences. Cape Theatre produced mini performance festivals, Escape with Cape, showcasing short performances that were experienced in unusual spaces. In 2017, Cassie joined The Cocoa Butter Club as producer. 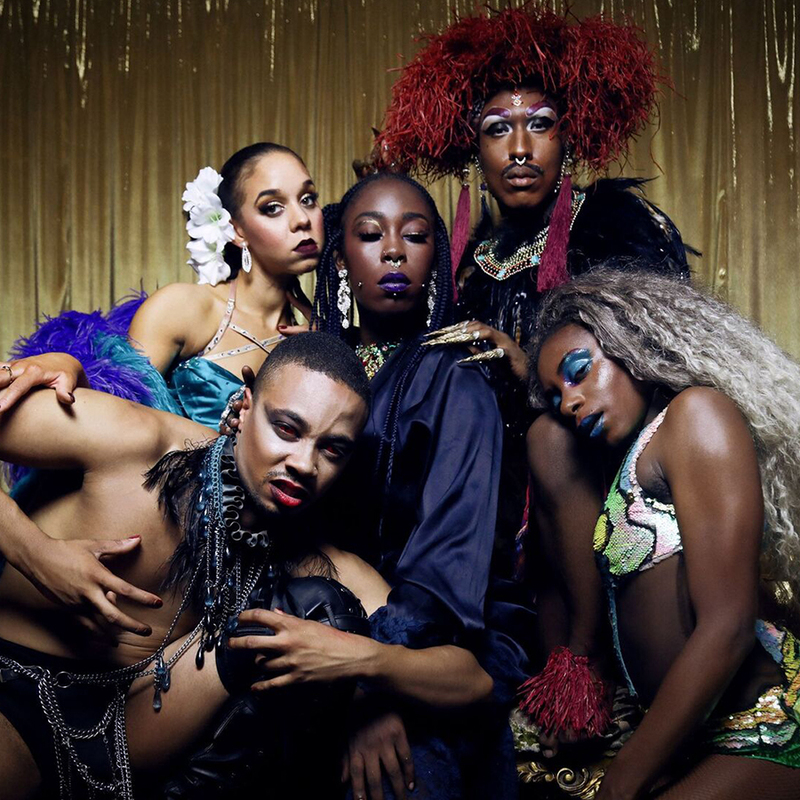 The Cocoa Butter Club are a cabaret collective centred on queer performers of colour. Her mission is to normalise bodies of colour within performance. Nemo Martin is a non-binary writer, director and podcaster. In their many lives, they write niche viral online games (This Strange Binary World), uplifitng queer theatre (Pitch & Cologne) and edu-comedy Podcasts (Bread & Barricades: A Les Mis Podcast), all with a focus on empowering intersectional narratives in as accessible fashion as possible. They also, for some reason, photograph snails for the Natural History Museum. One of only two British directors of US based LGBT campaign group GLAAD, Linda is a patron of Action Breaks Silence,which empowers women in the developing world to protect themselves against physical and sexual assault and Diversity Role Models a LGBT anti-bullying charity. A former Stonewall award winner, Linda founded the Alternative Parenting Show, the British LGBT Awards, the Diversity Careers Show and Opportunities for Women. She is also the founder of the Diversity in Media Awards, which launched in June 2017.